Jinan, the capital city of Shandong Province, the city where the main headquarters of Shandong University is located. It is highly populated (over 7,000,000 habitants), still for Chinese standards doesn’t really count as a big metropolis. For me, and for many other international students who happened to find themselves in a study abroad period in Shanda, or decided to take their BA or Ma there, that city is filled with memories. As I’ve mentioned above, Jinan is not a big touristic city. 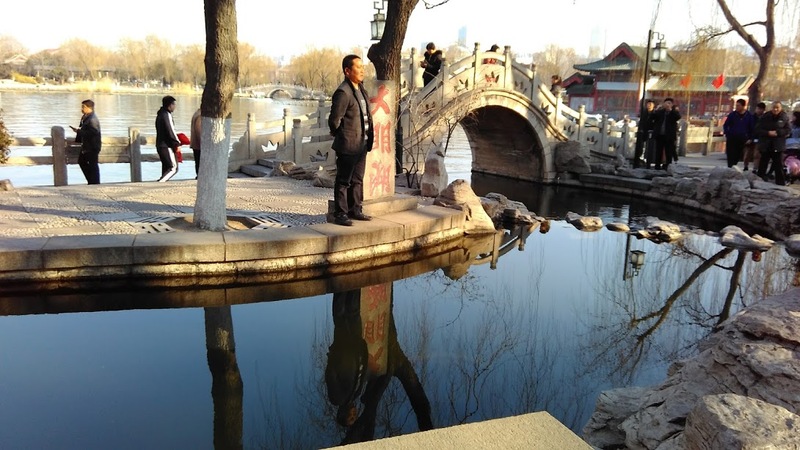 Still, there are some pretty cool things to see, and because it is not a famous capital of China, it’s good to avoid the floods of tourists you’d find elsewhere (Beijing, Shanghai, Guangzhou…). 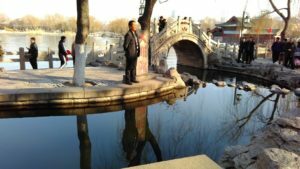 Here is a tiny list of places you’ll have the chance to visit for sure, especially if you happen to have a Chinese Buddy from the study abroad program, these are the defaults spots to get to know the city. As international students in China, you cannot miss a visit to Daminghu (大明湖）, the Lake Park, in the city center. The Park is free entrance for everyone, and if you want to see it at its best, I’d recommend an evening visit with the buildings lighten up (till 23.00, so don’t take it too easy). Another must is the city’s hot spring park, quite famous because of Jinan’s nickname “the city of hot springs.” Unfortunately, there is a small entrance fee that you need to pay to get in, but it is worth it because the park is unique in its style, and you can learn about Jinan’s peculiarities. Finally, my favorite one: the street food! 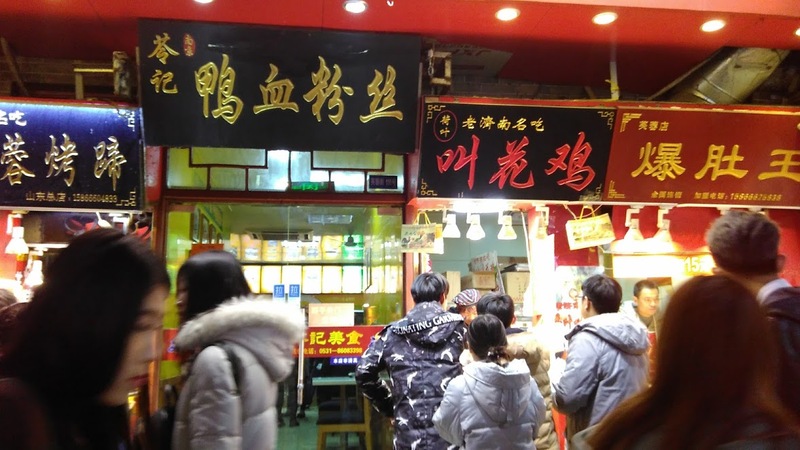 Everyone in Jinan must know Furongjie （芙蓉街）, where you can find lots of street food stands, with much variety and an affordable price (most of the times). The street is located in city center, very close to the hudong area (the traditional quarters). It is intriguing to have a walk in there if you want to have an idea of Jinan’s life before the Economic Reform, where “genuine Chinese life” can be found. What is the first thing you are always sure to find on the menu of a cheap Chinese restaurant? Spring rolls of course. Well, here is the breaking news: spring rolls are Vietnamese food, you wouldn’t find it easily in China. But don’t lose heart, because you are going to have the chance to discover real Chinese cuisine, and to fall in love with it. If you are Shandong University students, you’ll have the chance to enjoy the canteen of the campus of course. A canteen is a canteen, it’s very cheap for the students, but the food is not the best quality. Personally, I used to like the canteen-food a lot, and there is also a full variety: four floors, quality, and the price raise the higher you go. However, if that’s not your cup of tea, there is plenty of restaurants all around the campus. There is something to be found literally at each gate of the campus, but the most convenient one is probably the North gate. There are some tiny good restaurants right opposite the entrance, but also if you’re looking for something unique, just walk towards the Catholic Church at Hongjialou, the other university campus, and you will not be disappointed. 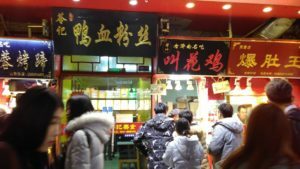 Finally, if you want to experience Jinan’s typical cuisine, I would recommend going to Shimao （世贸）, the city’s shopping mall. There you can find many restaurants, some more expensive than the others, where Jinan’s dishes are the specialties. Give it a shot! International students = party hard; everyone knows that. Jinan is a perfect city if you want to improve your Chinese because it is not “westernized,” but this also means not much entertainment after 9 pm. Are there no clubs? Yes, there are some, but there is also the possibility of finding yourself and your friend surrounded by sketchy businessmen sitting on the sofa with pretty girls, smoking and drink a lot. Love Song is the most famous club among the international students, but the entrance is a bit expensive (50 RBM for girls, 100 for boys), although it is open bar. Besides that, you can also take a look at the Space Bar in the city center or the other pubs around the campus. But if you really want to have a Chinese experience, then you must go to KTV. There is one at about 15 minutes walk from the central campus, as in all KTVs you pay according to how much time you want to spend here, but it is very cheap compared to the other places. And you can stay all night 😉 Officially, drinks from the outside are not allowed, you could buy something there or sneak some bottles in (as we always managed to do). Try KTV once, and you’ll get addicted to it. So this is my overview of international students living in Jinan, I hope it can be helpful for someone 😊 It can be difficult to find yourself in Jinan, but I can tell you that all the people I met, in spite of the initial difficulties had a great time at Shandong University: nobody wants to leave in the end. 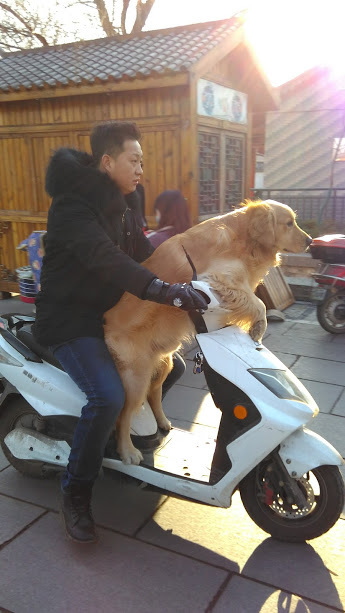 Wish you a lot of fun! if sо afterward уоu will ⅾefinitely take niｃe experience. Sure thing! I try to keep regular my visits in spite of the amount of study I have 😀 Are you a regular visitor? So good to hear that! Thank you so much for your support!